The Dallas Cowboys (5-5) will face off with the Washington Redskins (6-4) for what will be a battle for first place in the NFC East. The winner of this game will take control in a division that remains wide open as we ready for the final stretch of the season. The Washington Redskins have seen a ton of their offensive personnel fall prey to injury and will be starting Colt McCoy at quarterback after placing starter Alex Smith on IR this week. They're down wide receivers, offensive lineman and their starting quarterback heading into the game, but that doesn't mean they'll be a push over. They are still getting an excellent effort out of their defense. The Dallas Cowboys have faced their fair share of adversity and are dealing with injuries themselves along the defensive line. They were without a big part of their defensive interior last week and may be down a few players again this week. As we get ready for the Thanksgiving Day game against the NFC East Rivals, here are my final thoughts on this week's game. Former Texas Longhorns Quarterback Colt McCoy isn't a player that the Dallas Cowboys should fear, but they need to respect him. He can move well and he can make some things happen outside the pocket. If the Cowboys don't keep him contained between the hash marks, his legs could make things difficult for the Cowboys defense. He's not all that different from Alex Smith, though Smith is a better passer. McCoy will attempt to play turnover football, be efficient when asked to throw, and will take off when given the opportunity. Jaylon Smith and Leighton Vander Esch will have to keep an eye on him when they drop into their zone looks. When Kris Richard decides to go man, he'd be wise to keep a LB in the middle of the field to help take away any underneath options as well to keep an eye on McCoy. Last week in relief against the Houston Texans, McCoy brought the Washington Redskins back from down 17-7 and went six of 12 for 50 yards and a score through the air, two designed runs for nine yards, and three scrambles for 26 yards for a total of 35 yards rushing. Here's a taste of what Colt McCoy is still capable of. Michael Gallup will be playing with a heavy heart this week after learning of the passing of his brother over the weekend. It's never easy to lose a family member or someone you're close to, but to lose someone the way his brother went brings more to the table than just grief. He was spotted at the practice facility on Wednesday and all reports indicate he's going to play. Sometimes when you don't have answers to the tragedies that come in life, the best thing to do is to go and do something you love. Here's hoping that Michael Gallup is able to find some peace for a few hours. 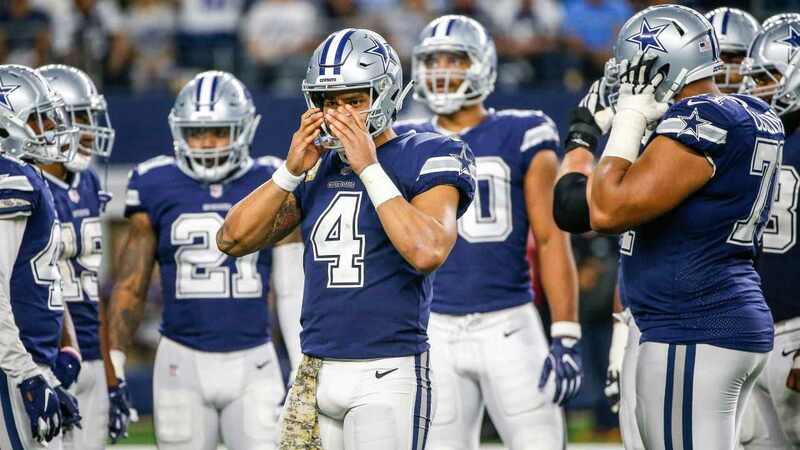 Since coming into the NFL the Dallas Cowboys are 27-15 with Dak Prescott as their starting quarterback. Over the course of his two and a half year career, the Cowboys have laid out the formula for how they want to win football games. The Cowboys want to play efficient, mistake free football on offense, while running the ball and controlling the clock. On defense, they want to prevent teams from scoring touchdowns and make as many splash plays as possible to disrupt drives. On Sunday in Atlanta we saw exactly what the Cowboys want to be. After a slow first half that saw the Cowboys only score 3 points, they took control of the second half of the football game with 19 points. On their first touchdown drive of the game, they went on a 14 play 75 yard drive that spanned more than seven minutes of game time. It was a perfect Dallas Cowboys drive. Efficient passing, dirty yards, and timely third down conversions. Later in the game on the game-winning drive, they did the same thing. 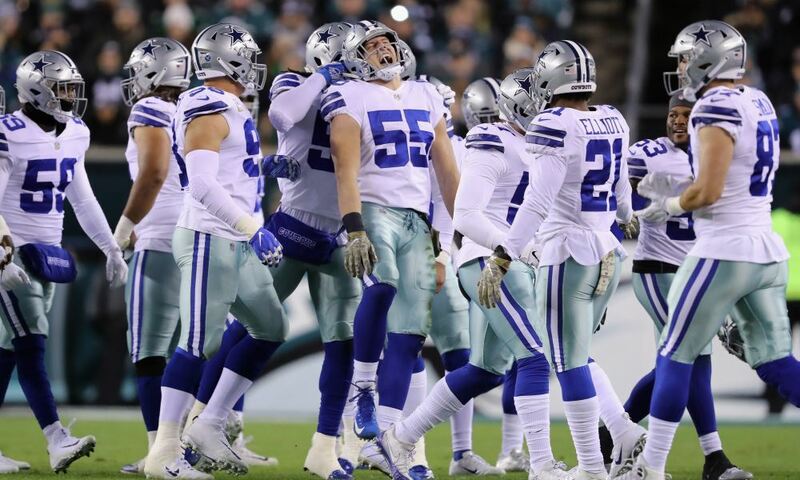 They didn't hit on any big plays, but Dak Prescott was efficient in getting the team down the field to set up the Brett Maher's game-winning field goal. Just as important as what Dak Prescott did, is what he didn't do. He didn't turn the ball over. As Jon Machota mentioned above, Prescott and the Dallas Cowboys are 22-1 when they don't turn the ball over. Go back to the Washington Redskins game and you know why the Cowboys lost that game. A Dak Prescott fumble that Washington recovered for a touchdown. Prior to that play it was 13-10 in favor of the Redskins. The Cowboys then had to score twice with under five minutes to play and were nearly able to pull it off accept for the penalty called on L.P. Ladouceur. The Cowboys would have likely tied on Maher's 47-yard attempt, but the ball was moved back five yards, making it a 52-yarder that Maher missed to the left. Part of that winning formula is about Dak Prescott. When he's good, they're good. When he's bad, they're bad. But the other part of that winning formula comes down to Dak Prescott's backfield mate, Ezekiel Elliott. Ezekiel Elliott is one of the best players on the Cowboys roster, so it's been frustrating that he's been as up and down as he's been this season. Well, if the last two weeks are any indication, Elliott and the Dallas Cowboys offensive line have turned a corner in the run game. Over the last two weeks against the Philadelphia Eagles and the Atlanta Falcons, Elliott's ran the ball 42 times for 273 yards (6.5 yards per attempt) and two touchdowns. Through the air, Elliott's caught 13 passes on 15 targets for 115 yards and a touchdown. He's averaging 7.67 yards per target over that span and has accounted for 17 first downs, most in the NFL over the last two weeks. The Dallas Cowboys need to make it three straight this week to put themselves in a strong position to make the playoffs down the stretch. As we've been saying for weeks, this is just another, in a long line of must-win games for your favorite NFL team. After they dropped to 3-5, this team looked like they were about done as far as the 2018 season was concerned, but after two straight road wins over the previous two NFC representatives in the Super Bowl, things are suddenly looking up. 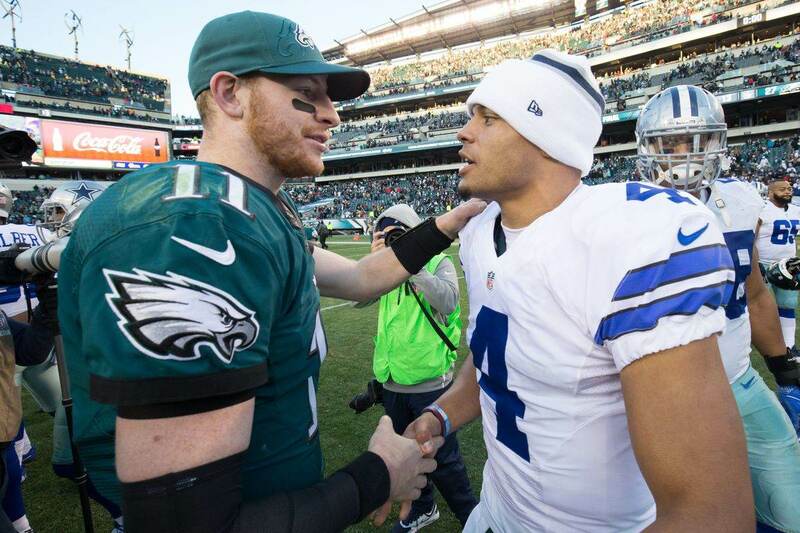 Now, with an opportunity to take control of the NFC East today, the Cowboys have a lot to be thankful for. 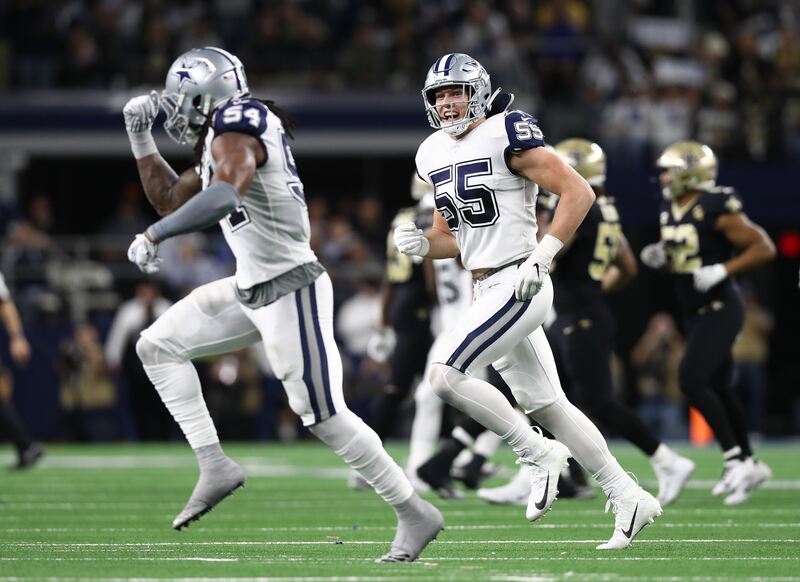 I believe this game comes down to defense, much like the first game did in week seven, and the Dallas Cowboys are playing really good defensive football. Dak Prescott will take care of the football again this week and Elliott will have more than 100 total yards. I expect the Cowboys to be in control of this game, but because the Washington defense is really good, they won't be able to run away with it. The Dallas Cowboys defensive pressure is going to be too much for Colt McCoy and they'll do a better job slowing down Adrian Peterson than they did in week seven. The Redskins don't have the players on offense -- aside from Jordan Reed and Peterson -- to put too much stress on the Cowboys defense and they'll eventually force a turnover and come up with several sacks.